The owner of the home has accrued more than $400,000 in city fines. 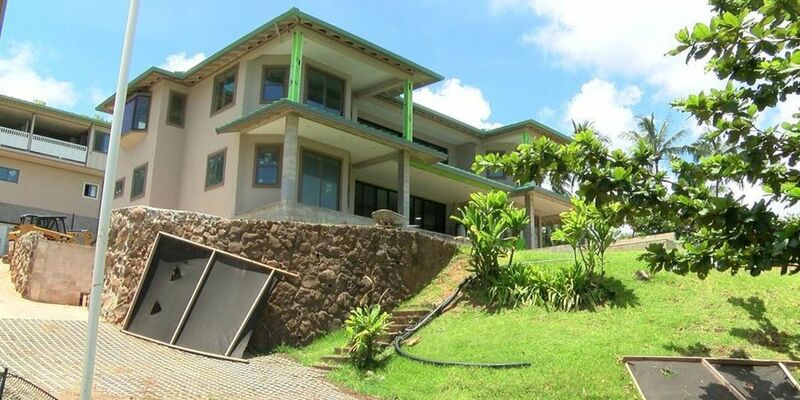 Residents are complaining about the construction of what they dub a monster home along Lilipuna Road in Kaneohe. HONOLULU (HawaiiNewsNow) - Some residents near Kaneohe Bay are at odds with their neighbor over construction of a large home — and want it torn down. Charles Wong is building a 10,000-square-foot, five-bedroom home on Lilipuna Road. In fact, he’s been building it since 2010. And because he hasn’t gotten all the right permits, he’s accrued more than $400,000 in fines. Wong says the house is a single-family dwelling, but neighbors call it a monster home. On Tuesday, the state Department of Planning and Permitting heard from one neighbor at a meeting on the project, who said Wong’s home dwarfs the neighborhood. “What we have is a maximum use of his 19,000 square feet of land in order to build a very, very large home for one person, a residence,” said resident Hugh Okuda. The city says Wong did some of his construction without proper permits or without following approved plans. Wong said off camera he had proper permits to build his home, and needs the Special Management Area Permit to resolve the fines.